Evan Dahlke, owner of Inland Coast Painting, helped the Brian Fisher family finish their home after work came to a sudden halt. Fisher's family was left grieving and at a loss on how to complete the special edition of TLC's Flip That House to benefit Habitat for Humanity. Evan Dahlke, owner of Inland Coast Painting, helped the Brian Fisher family finish their home after work came to a sudden halt when Fisher died unexpectedly. Fisher's family was left grieving and at a loss on how to complete the special edition of TLC's Flip That House to benefit Habitat for Humanity. 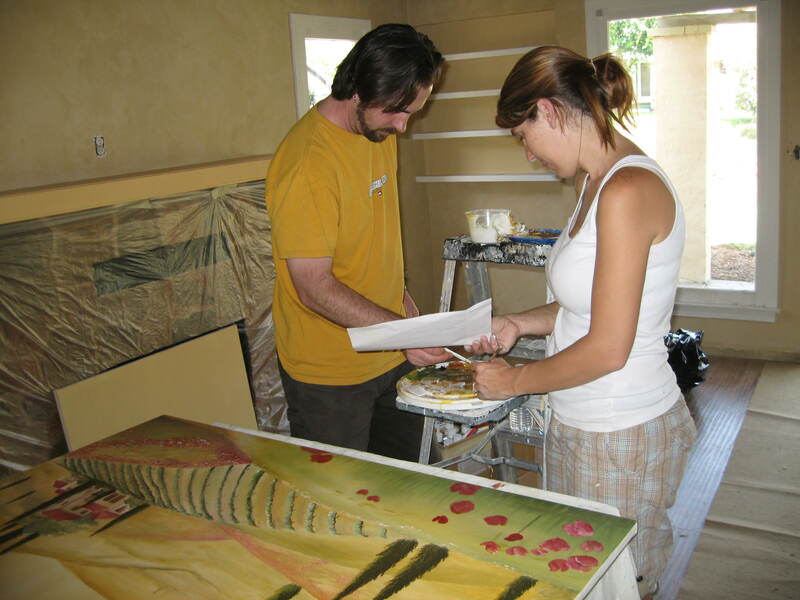 Dahlke, who specializes in decorative faux finishes, fine carpentry, and fine art, is a licensed contractor. He took the reins to complete the living room in the "House That Love Rescued." After preparing the walls and ceiling, Dahlke faux painted a gorgeous wood ceiling over white paint. Instead of sanding and refinishing the wood, this artistic faux solution doesn't require messy sanding or harsh stripping chemicals. 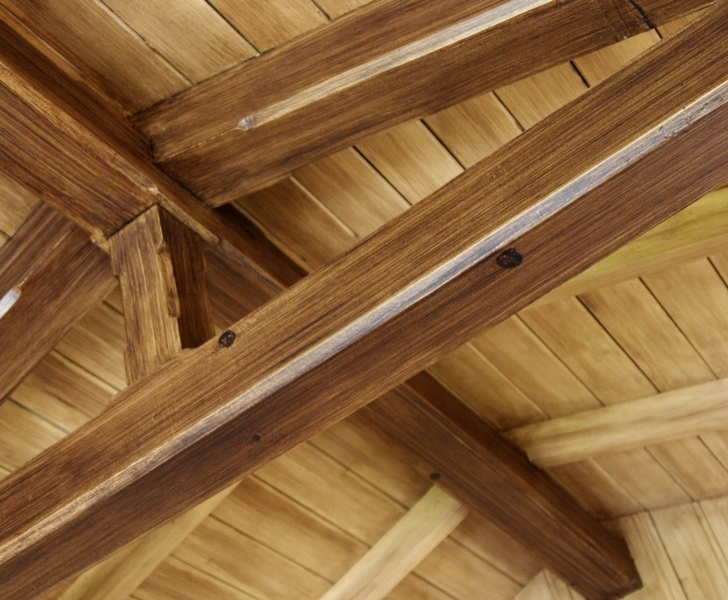 Plus, with Dahlke's faux artistry, the ceiling looks like fine wood in a million dollar mansion. He applied layers of plaster to the walls and finished with coats of lime paint. The walls feel cool to the touch, just like an Italian villa. Unhappy with the ordinary white brick fireplace, Dahlke created a faux stone surround and hearth. He refreshed the antique metal grates and ornamentation. To finish the room, he enlisted artist Kim Schaffer who helped him paint two paintings, which Dahlke framed. 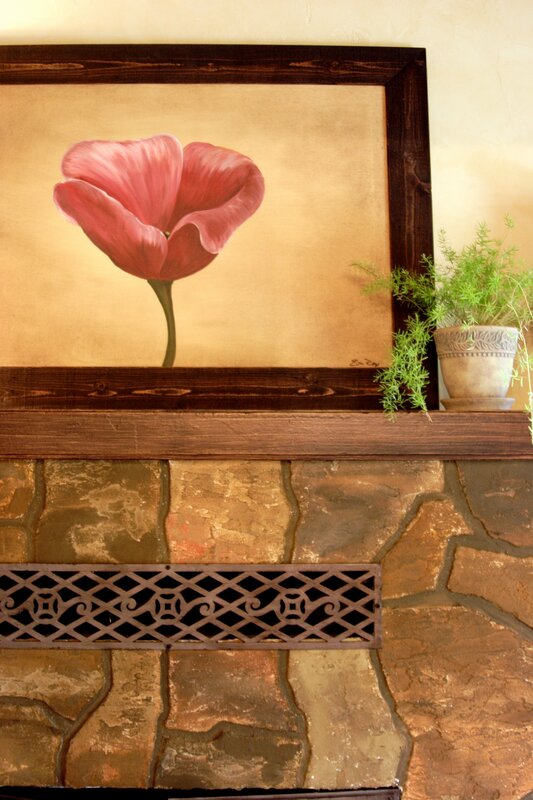 Besides doing the complete living room makeover, Dahlke helped rescue the kitchen walls and gave the other faux artists tips and expert advice. Motivated to help the widow Fisher, Dahlke believes in helping others by sharing his talents. The Fisher Family also believes in giving back to the community and that's the reason behind the Habitat for Humanity project. Before Fisher's death, the film crew filmed the family shopping at the local Habitat for Humanity building supply, ReStore. The Fisher's wanted to tell the world about Habitat's retail outlets where quality used and surplus building materials are sold at a fraction of normal prices to help build houses. 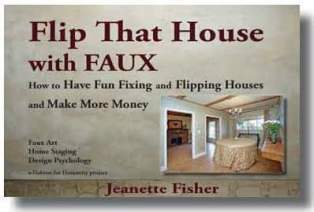 Jeanette Fisher, a college instructor, is the author of interior design psychology textbooks and real estate investing books, such as Doghouse to Dollhouse for Dollars and Home Staging with Design Psychology: Sell Your Home for Top Dollar--Fast. Her latest book, Flip That House with FAUX, tells the story behind the scenes and shares the artist's work in full color. 18475 Grand Ave., Lake Elsinore, CA 92530.